So this is going to be a weekly feature on my blog where I will basically be discussing whatever is annoying/aggravating/ or generally just being the bane of my life each week. So what is being the Devil Incarnate this week??? Well its these bad boys. The Co operative Honey Roasted Peanuts and Cashews. I honestly don't know why I bought these, I knew when checking the Nutritional Values how crazily bad they are for you but still bought them knowing full well I would probably eat them all lol. For someone out there like me who is on a diet or healthy eating regime eating an entire bag of these is a Cardinal Sin. Everything is ok in moderation but this just takes it to a whole other level. So now I now know not to buy these nuts at all, Its all or nothing with me and unfortunately with 315 Calories and 5 grams of Saturated Fat per half a bag, which is more than most of my meals, it has to be nothing. If you fancy some nice nuts these are for you but for me these devilish little things have royally screwed my diet over, and as a result will probably show at the scales tomorrow Boo!! I hope you enjoyed this post, Its just a light hearted insight into what's bugging me each week, and will be both Diet and Make Up related. I love pistachio nuts but if I buy a bag I'll eat them all! I have no self control.hehe. I love this post - it is a really good idea!! Those nuts look yummy :) no wonder you ate the whole lot!! MMMMM - I heart these a LOT, but they are definately the devil incarnate! Oh my god, that happens to me all the time! Like when I'm about to start a diet or just lose a few pounds for an occasion and then I'll discover something new..and once it was salted cashew nuts which I couldn't stop eating. 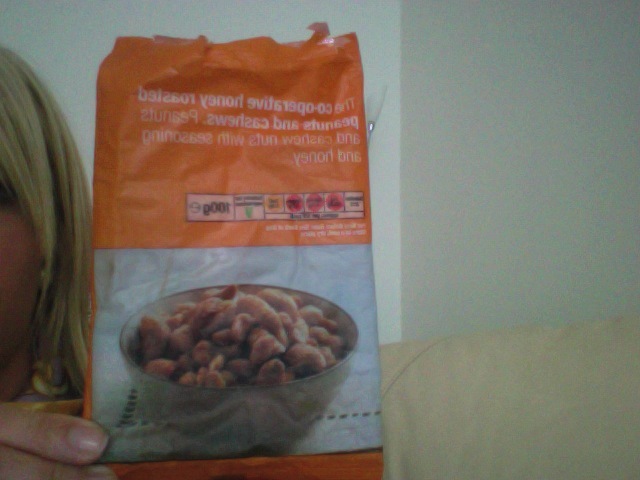 Love the title aswell :P nuts are definately The Devil Incarnate grr.